You may think that writing a Will is the best way to stop the family from fighting after you die. But that may not be the case. 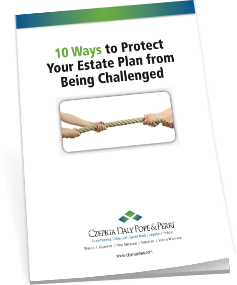 Because disputes over estate plans are to a large degree preventable, you need to know the ways you can thoughtfully and carefully plan your estate now, so you can protect your family from conflict later. Grab your FREE report by filling out the form to the right!